CHAMPAIGN, IL--(Marketwired - October 10, 2013) - Runners are often reluctant to try yoga, but according to Christine Felstead, creator of the Yoga for Runners training program, runners have a tremendous amount to gain from adding yoga to their fitness regimen. "Yoga restores the body's balance and symmetry through the physical postures, especially sequences that are designed specifically for runners," Felstead says. "Many runners feel tremendous benefits even after just one yoga class, often expressing that they feel taller, their lower backs feel better, and they have greater body awareness during runs and during their daily activities." 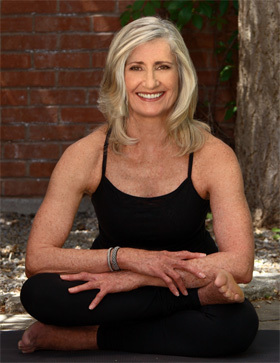 In her forthcoming book, Yoga for Runners (Human Kinetics, 2013), Felstead outlines three benefits runners will receive by practicing yoga. 1. Better running. "Yoga stretches and lengthens muscles so they become more supple and able to react while running," Felstead says. "This decreases muscle stiffness and increases range of motion in joints, namely the hips, shoulders, ankles, and spine." Longer hamstrings and greater mobility of the hip joint create a longer and more fluid running stride. In addition, the strength and length gained by the muscles help to stabilize the skeleton, resulting in faster running. "A flexible joint requires less energy to move through a wider range of motion, while a flexible body creates more energy-efficient movements," Felstead adds. "This results in greater ease while moving about throughout the day and potentially an improvement in athletic performance. Runs will be less exhausting and more enjoyable." 2. Healing and avoiding injuries. Improved symmetry, alignment, and balance through yoga prevent injuries from occurring while healing stubborn, chronic, and recurring injuries. Yoga postures will help align the knee joint while strengthening the arches of the feet for better shock absorption. This reduces the weight-bearing impact of running. "Runners have a high threshold for dealing with pain and learn to live with many aches and pains as part of daily living," Felstead admits. "Runners are often amazed at how many of these nagging discomforts are eliminated with yoga practice." 3. Postrace recovery. A yoga practice after racing helps to eliminate the stiffness caused by lactic acid buildup in muscle tissue. "Students who force themselves to attend a yoga class the day after a marathon are amazed at the speed of their recovery," Felstead says. "Recovery times are reduced so runners are able to get back on the road quickly and in good health." "While there are no guarantees in life, a regular yoga practice is a safe bet for reducing the risk of injury or helping cure a current one," Felstead stresses. "Many runners today are experiencing tremendous benefits, and the best results are from those who have made yoga part of their weekly workout routines. After some time they marvel at how injury free they have remained, regardless of the miles they run." Yoga for Runners introduces 98 yoga poses and 10 sequences to instruct readers on improving strength, flexibility, endurance, breathing, mental sharpness, and overall running performance. 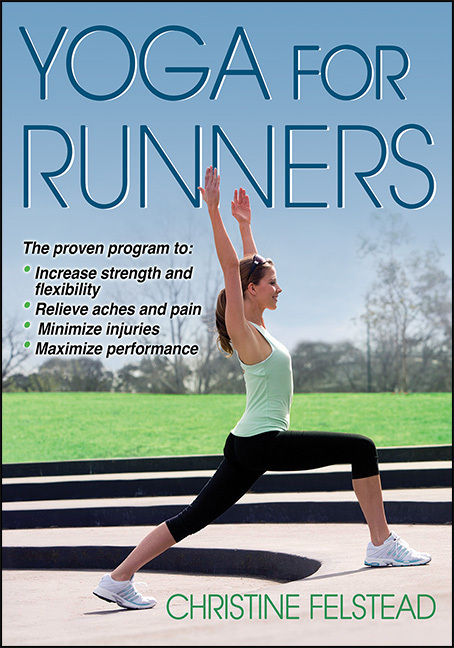 For more information on Yoga for Runners or other yoga resources, visit www.HumanKinetics.com.